After being around for more than 20 years, VoIP still, as a whole, has an unclassified status in the United States. The FCC has been reluctant to fully classify VoIP services as either an unregulated information service, which would largely fall into the category of internet service regulation, or a heavily regulated traditional telecommunications service, similar to the PSTN. Instead, the FCC has applied a progressive approach, imposing regulations only on certain types of VoIP. Specifically, the portion of VoIP that has been regulated to a certain degree is that which interconnects with the PSTN. This form of VoIP is defined by the FCC as “interconnected VoIP services” and enables users to place calls to and receive calls from the PSTN using the North American Numbering Plan (NANP). 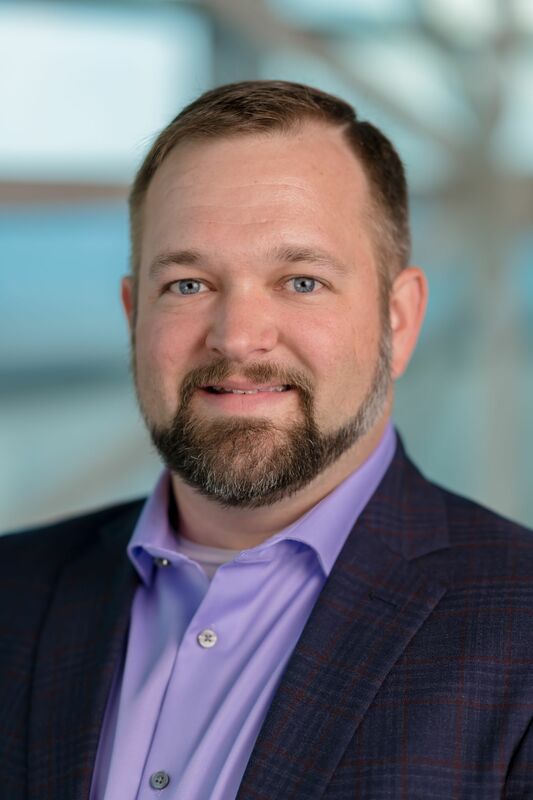 The FCC essentially drew a line between VoIP providers that interconnect with the PSTN, who offer service using the NANP, and those that do not, obligating the former to conform to regulations while the latter remain largely unregulated. Examples of unregulated VoIP services include applications like Skype, Viber, and WhatsApp, to name a few. Nevertheless, many of these services do indeed provide interconnectivity with the PSTN, but in a partially unregulated manner. More about this will be discussed further on. Emergency Services (E911) - Providers of interconnected VoIP services must comply with the Enhanced 911 system, delivering both landline routing and location transmission. Portability – ITSPs are obligated to comply with Local Number Portability (LNP) rules. Calling Records – The FCC limits the use of customer proprietary network information such as telephone calling records, and ITSPs are required to protect such information from disclosure. Universal Service and Accessibility – ITSPs are required to contribute to various funds that are used to support services to high-cost remote areas, low-income telephone subscribers, and provisioning for telecom services to persons with speech or hearing disabilities. Limitations to 911 – A telephony service provided by an ITSP may be fully compliant with E911 legal requirements, but still differ from the familiar way that regular PSTN E911 service is employed. Get a clear understanding of this from the ITSP and inform all relevant staff. Power - Some VoIP services won’t function during power outages and may require backup systems to be installed by the subscriber. Additional services - VoIP providers are not obligated to offer directory assistance or white page listings. Know what you are entitled to – What happens if your business runs into major issues with your ITSP? What if your provider fails to fulfill their obligations? You can file a complaint with the FCC, but they won’t step in for every issue. The FCC has an extensive listing of consumer guides that can help you defend your rights. 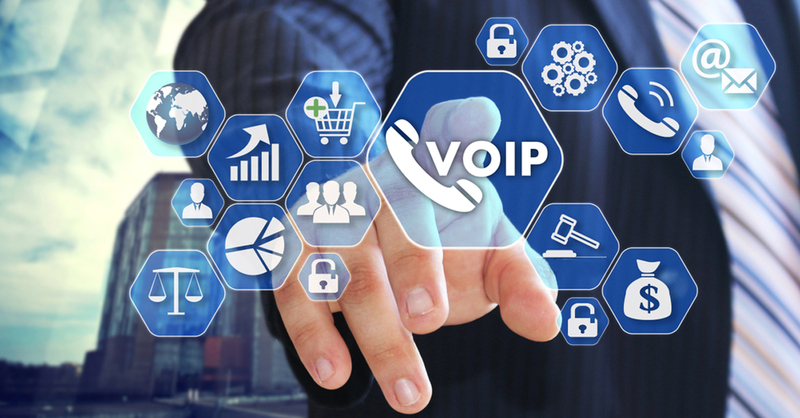 Interconnection with unregulated services – Keep in mind that unregulated VoIP services used within a business network are not protected by the same regulations as interconnected VoIP services, even if they offer the ability to call PSTN subscribers. Services such as Skype do indeed allow you to call PSTN numbers; however, the portion of their network that delivers peer-to-peer services is not subject to regulations. The following diagram illustrates this. 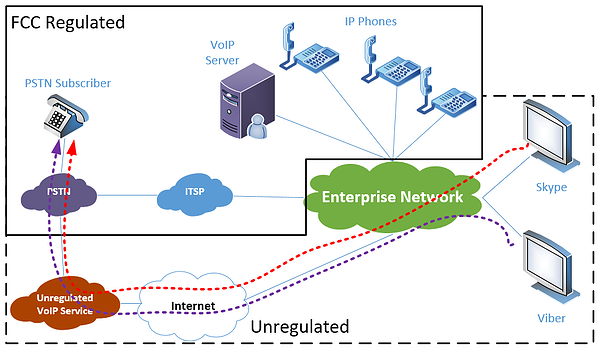 The services delivered over an enterprise network are viewed as subscribers of the PSTN rather than telephony service providers, and are therefore exempt from regulations. Support for Telecommunications Relay Services (TRS), which include text telephony (TTY) and other enhancements for employees with speech or hearing disabilities. It may be that the time of unregulated VoIP services is slowly coming to an end. In October of 2018, the United States Court of Appeals for the Eighth Circuit issued a decision in which the court recognized that the FCC has “repeatedly failed to resolve the issue of VoIP service regulatory classification.” VoIP services that have long been considered information services, much like the internet, may someday fall within a more strictly regulated realm of the FCC. In the meantime, the issue is still a point of disagreement and confusion for telecom regulators, providers and subscribers alike. Only time will tell how developments will progress. While the regulation of VoIP services is not an issue that network administrators deal with on a daily basis, it must be managed when implementing a new network, when maintaining an already deployed VoIP infrastructure, and when dealing with the obligations of ITSPs. As is the case with many such services, knowledge is power, and being informed of these regulations will go a long way towards ensuring that your enterprise enjoys the full potential of VoIP.